December 1st was World AIDS Day, and it also marked the launch of (RED)WIRE, an innovative new music service from (RED) that’s been set up to raise funds for HIV/AIDS charities in Africa. Many artists have already lined up to premiere exclusive songs to help mark the event. 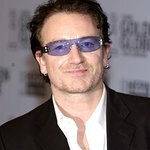 Of course, Bono and his boys in U2 were one of the first to record an exclusive track for the new digital music magazine. Their cover of Greg Lake’s ‘I Believe in Father Christmas’ is only available on (RED)WIRE. Those who purchase (RED)WIRE memberships- which are only $5 a month- will receive a weekly digital music offering including an exclusive song from a major artist, a song from an up-and-coming artist, and bonus content such as a digital short film or a reading from an artist or actor, as well information about the impact (RED) dollars have in Africa. Half of the $5 monthly fee goes directly to the Global Fund to fight AIDS in Africa. Members who join before Wednesday, December 10, will become “Founding Members” of (RED)WIRE and receive the premier issue on December 10 as well as a special bonus song from Jay-Z. Also, throughout the week, visit red.msn.com to see performances from U2, Jay-Z, Coldplay, John Legend, Dixie Chicks, The Killers & Elton John, The Police & Elvis Costello, Death Cab for Cutie and Sheryl Crow.